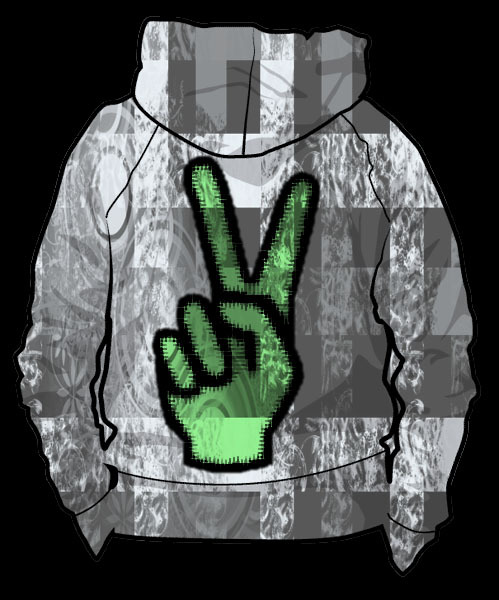 Plaid hoodie with a green peace symbol and slight water textured design. Original has a gray peace symbol with water texture. Love the plaid and the peace but why the east?